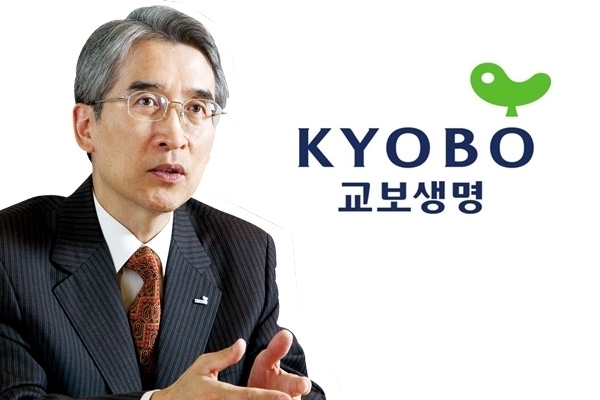 South Korea’s third-largest insurer in terms of assets, Kyobo Life Insurance Co. Ltd., is facing a dead end ahead of its planned initial public offering as financial investors have effectively issued an ultimatum, rejecting further negotiations. Chairman Shin Chang-jae on Sunday expressed regrets over the financial investors’ latest announcement of an arbitration application to implement their put option. “I request that (the FIs) reconsider (the decision and) re-engage in the negotiations,” Shin said through his legal representative, adding that the arbitration application may be withdrawn at any time. Tension has escalated between Shin and Kyobo’s FIs, as the latter sought to exercise their put option to collect investment as the company’s planned IPO remained up in the air for years. As a compromise, Shin recently suggested three scenarios -- issuing ABSs, sales to third parties, and preserving profits after the IPO. But the FIs rejected these options and notified Shin that they would request arbitration to force the implementation of the put option on Monday. In 2012 Shin attracted some 1.2 trillion won ($1.1 billion) in investment from FIs in a move to defend management control, allowing investors a put option if Kyobo failed to achieve an IPO in three years. As FIs at last exercised a 2.12 trillion won put option in November last year, Shin hurriedly announced the company’s IPO plans, but the belated action fell short of satisfying the FIs.